WE WOULD REALLY LIKE TO HELP! Your kids, as well as kids everywhere, are the future. Some of them are deeply troubled and headed down a very dangerous path. Please click here to fill out the information request form: TeenPaths Help Request Form. 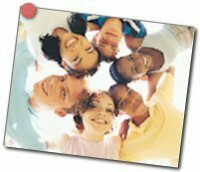 You will then receive information from both a TeenPaths.org parent reference and a family guidance specialist. "The road to someday, leads to nowhere." Alternatively, you can contact Dina Dalton, our family crisis intervention counselor and admissions co-ordinator, by calling 1.800.429.5922. Say you were referrred by TeenPaths and your call will be handled immediately.